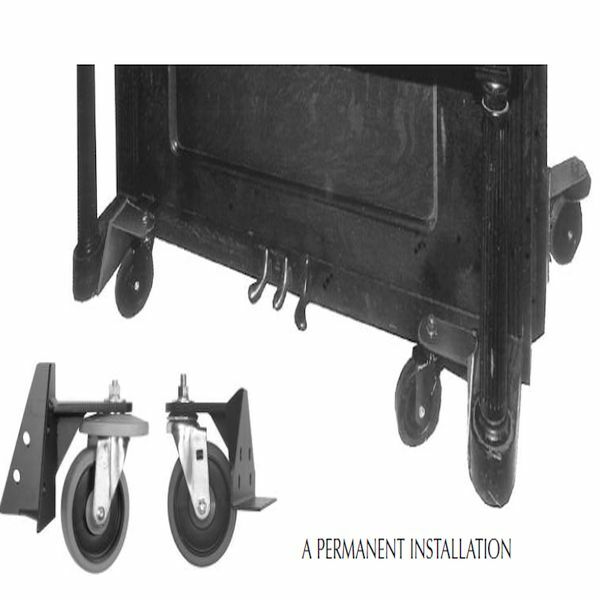 This 4 piece Upright piano dolly set is equipped with heavy duty 5" double ball bearing, swivel casters. Raises the piano approximately 2-1/2" off the ground. The two back pieces have rubber bumpers adding only 5" to the piano's width. This prevents wall damage and reduces the problem of narrow doorways. 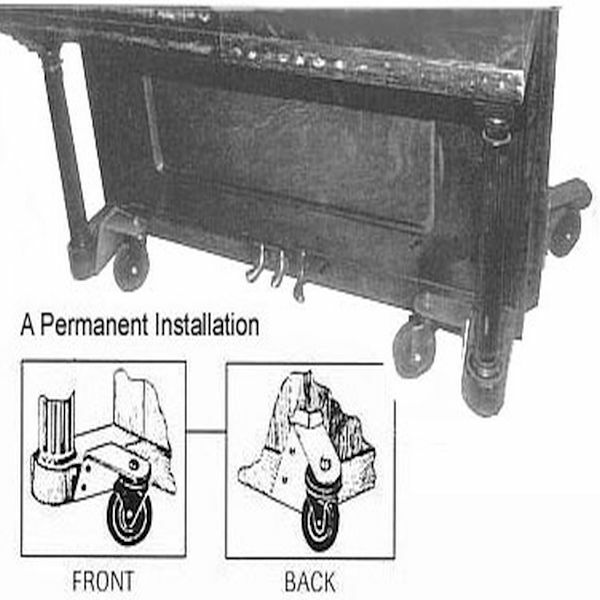 Permanently attaches to the piano with wood screws. Every part of the transaction went smoothly and without a hitch! The product is awesome and better than I thought, delivered very promptly, sooner than expected!! All in all this is an outstanding company that I would definitely deal with again. 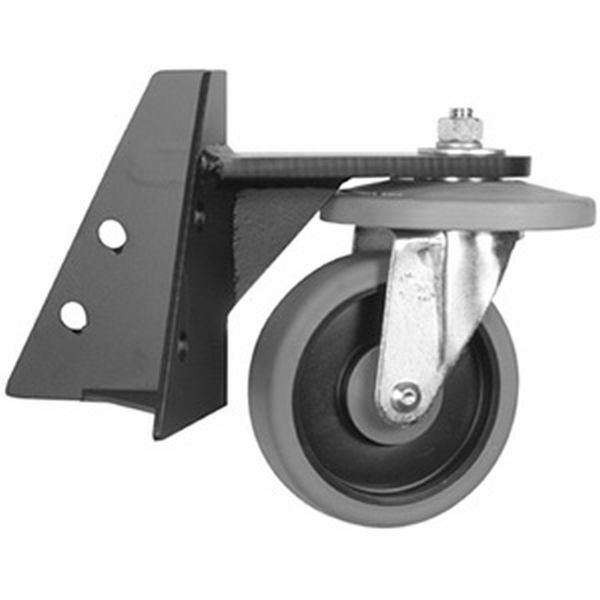 One minor suggestion - while the "inside" front wheel mounts have 4 holes, but only 2 screws are needed. I believe 4 is better and should be provided. very nice carrier. only negative i think is no brake.